On this page we would provide an overview of the best hotels in Mauritius. The first question which is asked is for the definition of the ‘best hotel’, by best, should do we refer to the most luxurious hotels, or perhaps the criteria should be different - For example, choosing the ‘best value for money hotel’, the ‘hotels with the best beaches’, ‘best spa resorts’ or others. Following this, we would do our best to cover some of these key criteria for determining which of the hotels are the BEST HOTELS IN MAURITIUS. As the leading local operator in Mauritius, we do cooperates closely with all the leading hotels in Mauritius on daily basis and are familiar with all the hotels on the island, their properties, level of services and their facilities. Furthermore, our team of top professional travel experts has vast experience in the local accommodation sector of Mauritius. Each member of our team has visited many of the hotels operating in Mauritius and can provide firsthand experience for each of these hotels. This is why, we are always happy to consult and answer any question one might have, and at the same time provide valuable advices regarding any of the hotels packages in Mauritius. This knowledge base and the experience enable us to be value the different hotels and together to create these key lists of Mauritius best hotels. Also, for hotel bookings made with Mauritius Attractions, our clients benefits a personal dedicated caring service and full assistance through the process of booking your accommodation from A to Z; Starting from the first step of learning on your accommodation preferences, to choosing the right hotel for you and sorting the ideal most attractive accommodation package, to finalizing your hotel booking including also the airport transfers. Mauritius has developed an extensive range of hotels networks consisting of both local and international hotel chains. Today, visitors to Mauritius can choose from a selection of exclusive top class luxury resorts and five star hotels, to small family owned bungalows, apartments and villas. We keep witnessing the growth of the Mauritian hotel industry with more professionalism in all aspects. Today the hotels in Mauritius offer a much wider range of services, leisure facilities, gourmet food, while providing quality personal service to all visitors of Mauritius with warm welcoming hospitality. 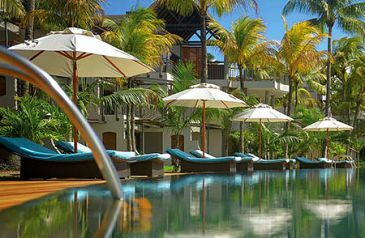 For your hotel accommodation, you will find in Mauritius representatives of the biggest international hotel and resorts chains in the world such as: Hilton hotels, Intercontinental Hotels, Club Med Resorts, Sofitel, St. Regis, Maritim, Le Meridien Hotels and many more, alongside many regional hotel chains. Some of the leading regional hotel groups include the Sun Resorts, Constance hotel group, LUX Island Resorts, Beachchomber and several more. Shanti Maurice is a boutique lifestyle resort with an award-winning spa located along one of the best beaches in Mauritius, on the largely untouched south coast of Mauritius near the small town of St Felix. Shanti Maurice has taken enormous care to work with the community both to respect its environs and minimise the impact of the resort on it. 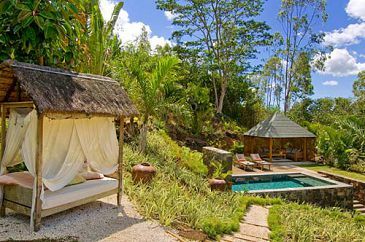 Shanti Maurice comprises 61 spacious suites and villas, spread across a 36 acre landscape of fragrant tropical gardens, and warmly welcomes couples, families, weddings and honeymoons. The Shanti Maurice comprises the most elegant, extensive collection of 61 spacious suites and villas, spread across a 36 acre landscape of fragrant tropical gardens. All 17 villas – including the Presidential villa – are located on the beachfront overlooking the Indian Ocean, and are designed with a contemporary yet timeless. The resort welcomes couples and families, and offers a Kids Club and Kids Activities Programme, with recreational pursuits such as non-motorised water sports, tennis, and arts & crafts including shell-painting, clay-modelling and ‘treasure hunts’. The warmest of welcomes and an array of pursuits providing opportunities to do everything or absolutely nothing. All accompanied by sincere service that comes straight from the heart. 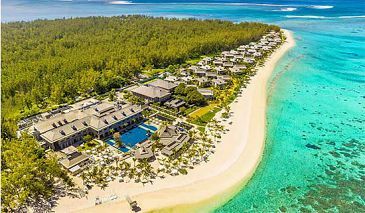 Located on the east coast of Mauritius, the Le Touessrok, a member of 'The Leading Hotels of the World', offers guests an ultimate luxurious beach resort experience unlike any other. The resort reflects an elegant mix of contemporary and tropical styles, and as such it is impossible to imagine a more romantic setting than that of Le Touessrok. At Le Touessrok, the number one priority is always the guest. From the moment you arrive, whatever you do, wherever you dine and wherever you choose to go, the service is friendly and impeccable, but never intrusive. Le Touessrok has been awarded Best Hotel in Africa, Middle East and Indian Ocean in the Condé Nast Traveller Gold List 2011. 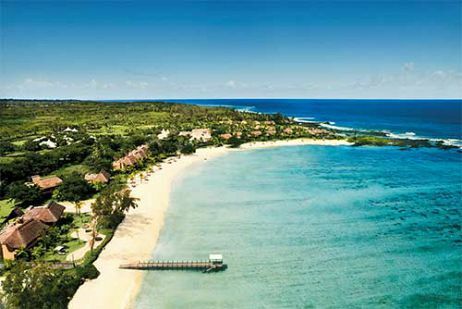 As it is stated in the list, the Le Touessrok is "the most glamorous family-friendly hotel in Mauritius". 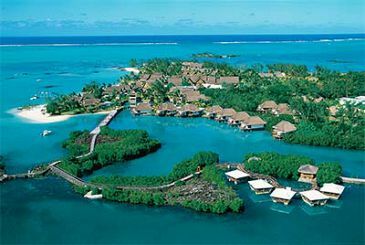 Across the water are the resort's two islands - Ile aux Cerfs, with its spectacular championship golf course designed by Bernard Langer, and Ilot Mangénie, an island retreat exclusive to guests, both a short ride by private boat. The Le Touessrok spectacular 18-hole championship golf course, designed by Bernhard Langer on the island of Ile aux Cerfs, is one of the best golf courses in Mauritius. This luxurious five-star hotel is set within 60 hectares of unspoilt land, amidst rare and luxuriant vegetation. Protected from the winds, this peninsula is a peaceful location offering a real sensation of exclusivity and a unique emotion, an experience where spicy aromas blend with the perfume of the warm ocean. The Le Prince Maurice with its tropical gardens consisting of rare vegetation, secluded beaches of brilliant white sand and calm turquoise lagoon is just breathtaking in its beauty. A natural fish reserve situated in the western part of the hotel adds even more to the uniqueness and natural beauty of the hotel. Constance Le Prince Maurice evokes the splendor of a distant era: the spice trade. It enshrines of elegance from times past, warmth, exotic fragrance and exclusive quality where everything in great detail is dedicated to well-being and sensual arousal. Its unique setting, refined elegance, beautiful architecture together with the warm colors and vivid fragrances offer its guest an intimate and romantic environment, making it an ideal resort for honeymooners and couples. Four Seasons Resort Mauritius at Anahita embraces boundless views of blue waters and green-blanketed mountains. Exuding quality and exclusivity, the Four Seasons resort features private villas with pools, fine dining and an Ernie Els golf course, perfectly blending recreation, relaxation and luxury. Fill every moment with a sense of natural connection and exquisite retreat. Four Seasons Resort Mauritius at Anahita offers spacious villas designed to inspire connection with the natural surroundings. Large windows and doors allow seamless indoor-outdoor living. Views in all directions – from the calm, quiet lagoon to the backdrop of the Bambou Mountains – are overlaid with a sense of peaceful seclusion. Tranquil décor rich with natural woods, volcanic stone and other indigenous materials brings the flavor of Mauritius indoors. Thatched-roof architecture is filled with surprising design touches, modern artwork and Four Seasons space and comforts. The Royal Palm Hotel is an exclusive retreat offering the ultimate in luxurious accommodation, award-winning a la carte dining and first class service a stone's throw from Grand Baie. Set on an idyllic stretch of beach The Royal Palm Hotel offers just 84 intimate suites and is just a short walk to the lively Grand Bay. The hotel is renowned for its flawless service and outstanding hospitality: hotel staff outnumbers guests by three to one, assuring every guest total relaxation and outstanding service. A real highlight at Royal Palm is the superb cuisine from internationally recognized chefs; their celebrated talents have earned the hotel a reputation as one of the island’s most desirable places to dine. Set in the North West coast of Mauritius, facing spectacular sunsets every evening, Angsana Balaclava Mauritius is an oasis of relaxation and privacy designed ideally for couples and honeymooners. 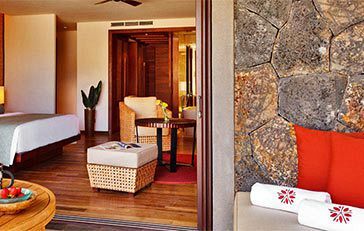 Nestled in the secluded area of Turtle Bay, Angsana Balaclava Mauritius offers a hideaway ideal for travellers looking for privacy and relaxation. Angsana Balaclava Mauritius is the island’s premier boutique resort – the latest 5-star resort on the Mauritian landscape. Let the world slip away as you sink into the natural sights and sounds of the island and experience a world class resort set in a paradisiacal tropical island and secluded beach. The Angsana Balaclava Mauritius is the first 5-star boutique resort consisting of 52 suites and villa only, set on an intimate pristine beach, endowed with various dining venues, and an outstanding array of recreational and dining facilities. Exclusive, stylish, and romantic, the Oberoi Mauritius is a haven of generous Mauritian hospitality and excellent service. The idyllic island of Mauritius with its unspoilt beaches and azure waters offers a unique experience of European, African and Asian cultures. The Oberoi, exclusive, stylish, and romantic, captures the spirit of the island in a resort that combines its abundant natural beauty with refined luxury. The resort is located in 20 acres of beautiful sub-tropical gardens with a 600 meter oceanfront. Throughout its storied history, St. Regis Hotels and Resorts has welcomed kings, queens and travelling connoisseurs, seducing them with an unfolding series of delightful moments that can only be found at St. Regis. Now the cornerstones of this legacy are arriving on Mauritius, drawing you into a world of beautiful settings, discreet personal service and memories you will treasure forever. The UNESCO World Heritage site Le Morne Mountain provides a befitting backdrop to the resort and with the world’s best diving and kite-surfing spots moments away, The St. Regis Mauritius Resort holds the most favoured address on the island. On the southwestern side of the island, the soft white sands of Le Morne Beach and its turquoise lagoon create a magical setting where lavishly appointed accommodations and pampering converge amid the many charms ofMauritius. St. Regis, breathe in soft ocean air from the private balconies of 172 elegant rooms and suites. Relish the sanctuary of a meticulously appointed space, designed for comfort. Experience incomparable personal care with an exclusive St. Regis Butler. Following this, the clear choice as the Best Spa Resort is the Shanti Maurice Resort. The interesting fact is that the Shanti Resort was first opened as a pure spa resort under the name of Shanti Ananda Resort. During that time all the hotel packages and activities offered by the hotel did involve treatments at the spa. Accordingly, it was the first and only pure spa resort with a clear aim to focus on variety of spa treatments offered to all its guests. Today, the resort is known as the Shanti Maurice, but its amazing spa, the ‘Nira Spa’ remains the same. This is the biggest spa operating today in Mauritius, offering 25 different treatments rooms and wide variety of massages and treatments. The Nira Spa is built around an enchanting tea pavilion, surrounded by lily ponds and indigenous flower gardens. Covering over 75,000 sq. feet and comprising 25 treatments rooms, Nira Spa is one of the largest and most comprehensive in the Indian Ocean. The Nira Spa at Shanti Maurice offers a unique range of therapies, featuring the ancient regimes of Ayurveda, Yoga and Vedanta combined with the latest international wellness regimes that include Hydrotherapy, Cocoons, Body Polishes, Fusion Massage and Watsu treatments. Together, the healing effect is total and the harmony between inner and outer self is complete. Trained masseurs and spa therapists work alongside nutritionists, personal trainers and Ayurvedic Doctors to encourage optimum health and mental wellbeing. The Nira spa experience is designed to go well beyond mere physical rejuvenation to include all the elements of holistic and stress-free living: optimum health, mental wellbeing, revitalised senses, spiritual awakening and positive dietary changes. Feel total renewal and rediscover tranquility through the nurturing touch of the therapies. Wellbeing - The Nira Spa at Shanti Maurice helps you explore your innermost self, with emphasis on the connection between mind, body and spirit. To make this connection, the therapies for the body by taking you on a journey that involves the intellect and the inner being. By doing so, your journey is truly holistic. In addition to the treatment rooms, guests also have complimentary use of the pools, sauna, steam rooms, gym and all-weather tennis courts located beside the Nira Spa. All guests receive one tennis initiation once during they stay complimentary and further sessions can be arranged with a tennis coach for an additional fee. Ayurveda - Nira Spa offers treatments from the ancient healing system of Ayurveda, which has been practiced for more than 5,000 years. A Sanskrit word, Ayurveda is derived from two roots, ‘Ayus’ and ‘Veda’, meaning life and knowledge respectively. Ayurveda is a means to vibrant good health, focusing on the prevention of illness and the preservation of life. 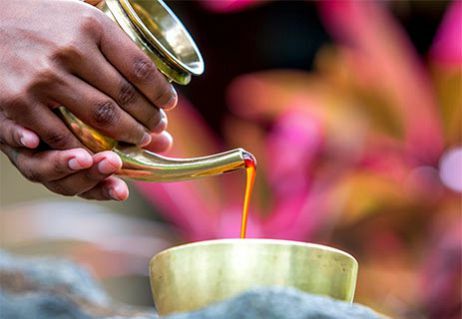 In essence, the science of Ayurveda aims to treat the body, mind and soul. Watsu - Nira Spa at Shanti Maurice offers a special Watsu pool, where treatments are undertaken by a professional Watsu therapist. Watsu is a form of warm water bodywork, which combines elements of massage, shiatsu and movement therapy in body temperature salt water, and symbolises rebirth. The body is floated, stretched and massaged, calming the mind and relaxing the muscles. Stress and tension wash away, pain is relieved and the body’s natural flexibility is renewed. Vedanta - Vedanta is a selection of ancient principles of life and living originating from the Himalayas going back thousands of years. It literally means the culmination of knowledge, enabling one to attain the rare combination of material prosperity and mental peace. This knowledge helps achieve physical dynamism, mental equilibrium, as well as intellectual clarity, directing one to the goal of ultimate liberation being spiritual enlightenment. Yoga - the yoga practiced at Shanti Maurice is completely traditional in form and stems from the roots of Hatha Yoga, with adaptations to suit individual needs. It is a disciplined science encompassing all aspects of life in different ways and on different levels to balance the mind, body and spirit leading ultimately to perfect health. Meditation - Meditation is one of the central components required for balancing and harmonizing the mind and body. The techniques offered at Shanti Maurice are grounded in ancient traditions yet immediately practical for modern needs, simply taught and easy to incorporate into your daily life. Aquafit - is a low impact, exercise in water activity that provides good cardio vascular and muscular exercise for all and is suitable for people of all ages and abilities. Water offers a natural resistance to movement which means muscles and work harder without tiring. Maintain and improve strength, stamina and suppleness, as well as increase cardio vascular fitness in this class. Pilates - Pilates is a body conditioning routine that seeks to build flexibility, strength, endurance and co-ordination without adding muscle bulk. In addition, Pilates increases circulation and helps sculpt the body and strengthen the body’s “core”, the deep internal muscles of the abdomen and back. Benefits enjoyed from regular Pilates is a stronger, longer, leaner body. Mauritius is well known worldwide more as a beach resort heaven, but the Lakaz Chamarel is defiantly a unique eco hotel which is definitely worth visiting and is by far, the best eco friendly hotel in Mauritius. Considering the high level of rooms, the amazing scenery, the breathtaking views from the ocean view suites and the expertise of its local chef, this is the best place in Mauritius for all those searching for a eco friendly accommodation, or for those searching for a romantic mountain lodge. In the south west of the island, at 400m in altitude, Chamarel is surrounded by the natural park of the Black River gorges, a protected natural heritage site. In this region, the World Wild Life Society has managed to save a number of species from extinction like the kestrel, the pink pigeon, and the green parrot. Lakaz Chamarel is an exclusive hideaway with 5 sea-view cabins, amazing French-Mauritian restaurant and exceptional service. It is a place where you can simply close your eyes and let the worries of life fall away. At first sight, you will be dazzled by the magnificent 12 hectares tropical garden and charmed by the architecture which blends harmoniously into the natural environment and combines authenticity, good taste and refinement with simplicity, comfort and friendliness. Straight away, you will be overwhelmed by a feeling of well being and calm where time seems to stand still in this place of harmony and “savoir vivre”. Lakaz Chamarel is committed to creating a harmonious balance between the setting of the hotel and the beauty of the nature that surrounds us.